Nurse Prescriber is a peer-reviewed, free online educational service and information resource devoted to all nurse prescribers and healthcare professionals in related fields. 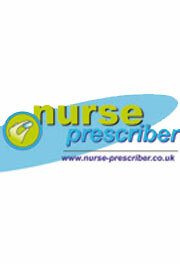 Covering all of the current modalities used in prescribing, Nurse Prescriber aims to publish quality research from a wide range of approaches and encourage debate and the exchange of information and opinion from within the diverse fields of prescribing. The journal also aims to encourage clinical papers and case studies as well as product reviews that will be of interest to all prescribers.